2018 40 Under 40 recipients on top row: Ebony Cochran and Brittni Brown. Bottom row: Pageant Atterberry and Chandra Moore-Banks.The Michigan Chronicle 40 Under 40 class of 2018 is dominated by women, with 24 honorees, ranging in the fields of legal aid, public relations, entrepreneurship, architecture, executive leadership, and more. With March being Women’s History Month and the emergence of women’s rights movements across the country, the event this year takes on a special meaning for the recipients. Women’s History Month is dedicated to honoring and celebrating women for the great contributions they have made around the world, from the big names to the unsung heroes. Acknowledgement, equality, and equal pay among women has dominated the news, yet, has lacked in the everyday workplace and in the corporate setting. Pageant Atterberry is the owner of PBA Royal Performing Arts and Training School and a 40 Under 40 recipient. She felt her work and so many others, are not going unnoticed anymore thanks to campaigns such as Women’s History Month and 40 Under 40. Throughout history, the story of women has been one of exclusion, stillness, absence, and prejudice. But not anymore. The precedent that women “can’t do” something is no longer valid. Women are starting their own businesses, executives at major companies, excelling in professions previously dominated by men, and breaking down other barriers society once said they could not do. Take Chandra Moore-Banks for instance. She is an architect, director of design, and founder of coG-Studio architectural design firm. Only 0.3 percent of licensed architects in the world are black women and she is a catalyst for empowering all women to pursue any profession they dream of. 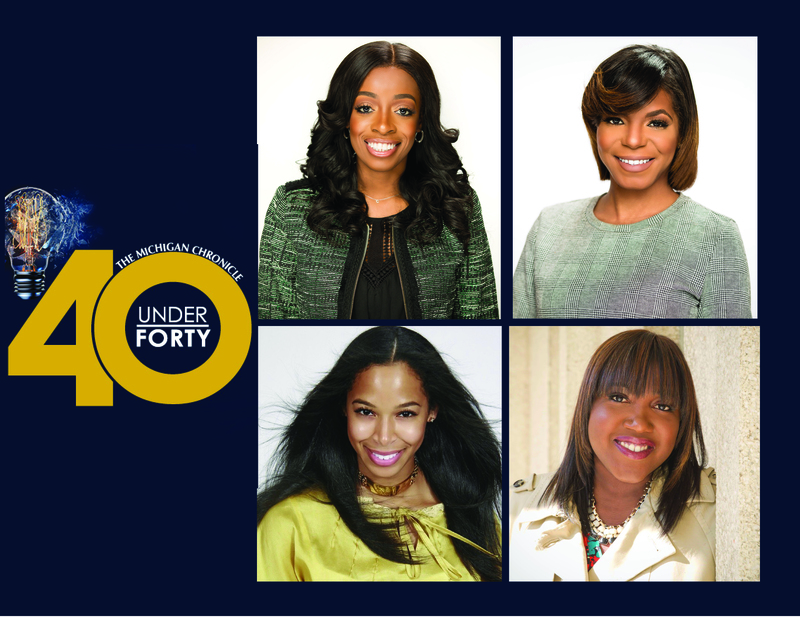 The Michigan Chronicle’s 40 Under 40 Awards celebrates local African-American individuals who inspire others through vision and leadership, exceptional achievements, and participation in community service. Ebony Cochran is the senior consultant and owner of Blackwood Credit Services. She is a 40 Under 40 winner and has dedicated her life to helping others through her business, like so many of the other recipients. Over the years, she has helped her clients wipe away $14 million in debt.